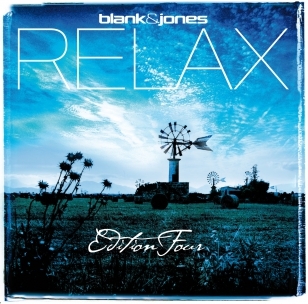 After two years in the making, Blank & Jones return with a glorious new RELAX album. The series which sold 75.000 copies of the first three editions now return with a fantastic 4th installment. but also to discover some of the finest in beach house and bar grooves. have collaborated with the guys for the fantastic song "Try Again". Danish living legends LAID BACK also join Blank & Jones on three songs and especially on "Happy Dreamer". idea of the RELAX series is all about. VANESSA DAOU from New York brings in erotica with her wonderful voice and lyrics. Not to forget about all the beautiful instrumental mood tracks which Blank & Jones create. Ibiza" and "Milano Fashion". But still, the feeling of the complete Relax album can never be replaced by a compilation. It is a very intense experience of moods, sounds and voices which is absolutely unique. aspa Jones and Andy Kaufhold to capture the magic of those special moments in life where you are totally relaxed and happy. and Kenneth Bager (Music For Dreams) to name just a few.